Here at MCC Insurance Brokers we love local, meeting the insurance needs of those in County Antrim and across all of Northern Ireland from our Ballymena and Ballymoney offices for over 50 years! We are happy to announce our sponsorship of this weekend’s Ballymena United Football Club game against Coleraine Football Club on 10th March 2018. We were immensely proud of their bringing home the League Cup last year and we wish them all the success this weekend in an important fixture. We are running a competition in association with Ballymena United FC and you can win a signed ball by answering this simple question: Visit our website (www.mccmcc.co.uk) and tell us the amount of discount that a young driver can get on their Young Driver Car Insurance. Simply email your answer and contact details to info@mccmcc.co.uk with the subject title ‘BUFC Competition’. 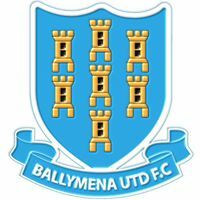 Have a check on the Ballymena United FC website (www.ballymenaunitedfc.com) or Facebook page (www.facebook.com/ballymenaunited), or our own (www.facebook.com/MCCInsuranceLtd ) , for more details. Competition will run until midnight on Sunday 11th March 2018 and the winner will be chosen at random and contacted the week beginning 12th March 2018. Whether it’s personal or commercial insurance, advice, or simply yelling on our local team, at MCC Insurance Brokers we’re here to help.